How many lighting do i need in my tent for my wedding? What kind of lighting to use for a tent wedding? Nowadays the wedding is not only fantastic in the outside but also needs decoration inside of the tent. So how many lights do I need, this is the question that we need to figure out. 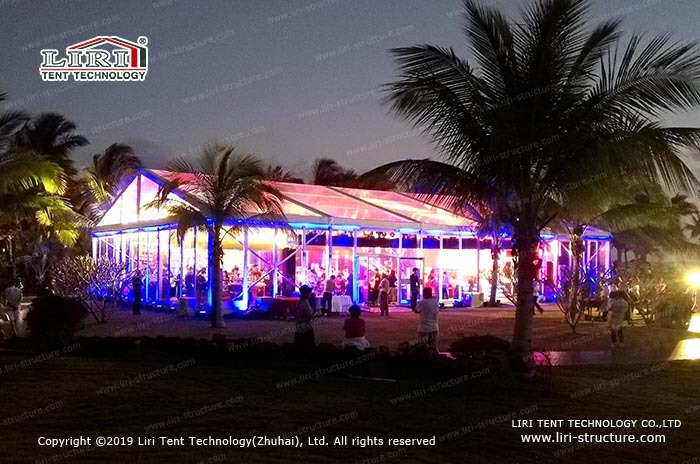 The choice of lighting is related to the design of wedding tents. Ordinary PVC fabric is transparent or semi-transparent for durability. This will allow the fabric to last up to 10 years. If the light inside the tent is very dark, and if the ceremony is located in the tent, it needs lighting support. 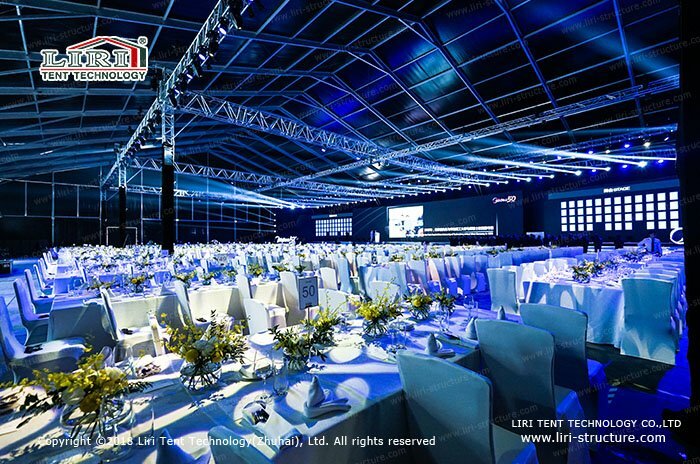 Inside of tent, we can calculate on this, set a chandelier every 25 square meters, especially under the opaque tarpaulin, this setting is very important. The tent is made up of the aluminum alloy frame, HDGS parts, and fabric. Like the reinforced concrete house, the interior needs to be more beautiful and needs decoration. Generally, you can use cloth, ribbon, etc. In the evening, you can also use lanterns for a normal wedding. The romantic feeling from the outside to the inside. Secondly, lighting can be done with a few simple ways that you can achieve with an unexpected effect. It is used in white and other colors. It is hung in the ceiling or placed in the corner of the fabric. Another lighting can include a spotlight that creates a stage effect and can be mounted on the wall. On the floor, or on the ceiling, if someone wants a romantic atmosphere, lighting can create a dreamy and mysterious atmosphere. But you need to place the lighting correctly.